This was brought about by the country’s strong macroeconomic environment, where end-users (consumers), investors, and the government play a role in its continuous boom. 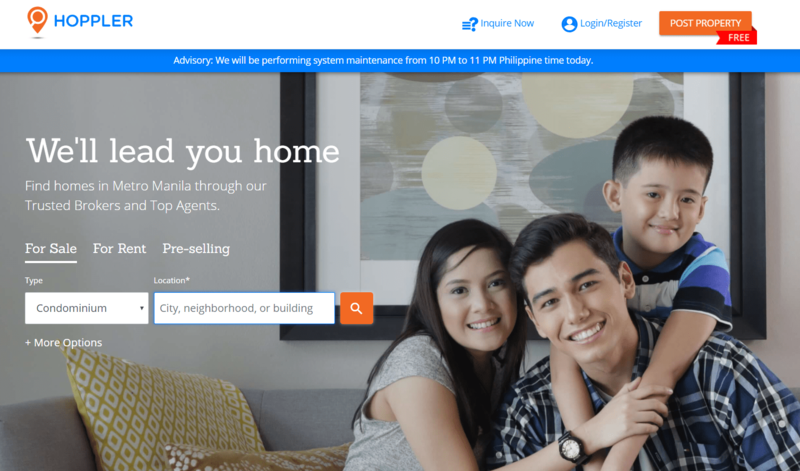 How to buy property in the Philippines (FAQs)? On the consumer side, factors like providing housing for employees who want to live near their offices and strong remittances from OFWs (more than 50% of which are invested in real estate), combined with the increasing urban population, are catalysts driving the demand for condominiums and residential units as well as businesses that cater the needs for these homeowners. 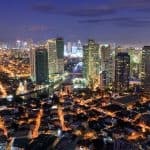 For the investors, this increased demand of new residential and mixed-use projects both within and outside of Metro Manila provides them with plenty of good reasons to invest and grow their money. Lastly, recent projects and developments initiated by the government like the construction of MRT connecting QC to Bulacan, improving road networks, and expansion of airports are some of the factors that should drive the development of real estate projects even further. To be honest, I didn’t really need to read about reports to prove the ongoing boom in our country’s real estate industry. In the last few years, I’ve seen multiple constructions for new condominiums and residential units just within our place of residence. I noticed multiple constructions of condos, apartments, and townhouses, both by big corporations and private investors. Even small businesses pop up like mushrooms around areas that are being primed for development. Real Estate is defined as “properties consisting of land or buildings”. This includes all natural resources within the land. Refers to all kinds of homes that include townhouses, condominiums, apartments etc. Includes warehouses and buildings or pieces of land where products are manufactured. Buildings used for research, storage, and distribution fall under this category too. Refers to vacant lands, ranches, and farms. This category includes undeveloped properties. Before the internet became a huge part our lives, the only place to find real estate listings were at newspapers. Remember that “Buy & Sell” magazine? That thing had listings for a ton of stuff people were trying to sell back then, and a big portion of it was dedicated to real estate. Nowadays, real estate listings are conveniently posted online. You’ll even see them on Facebook on a regular basis via broker postings or Groups. 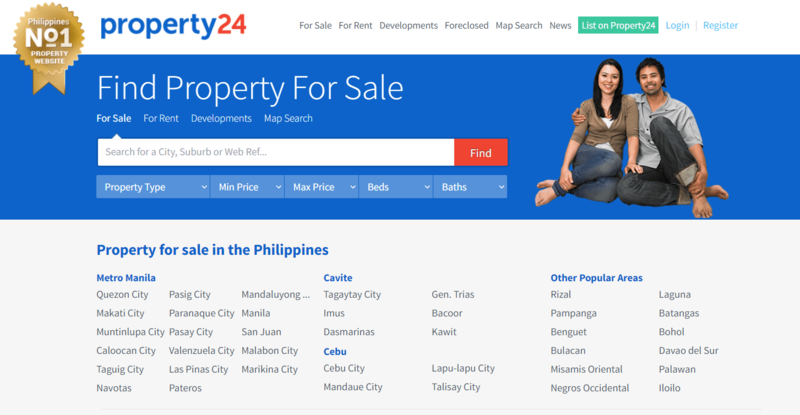 However, if you want to know which are the go-to sites for properties to buy in the Philippines, then this section is for you. “To connect buyers and sellers of real estate with a network of people you can trust”, says their site’s “About” page. “Hoppler Associate” that knows all the details about the area that you’re interested in. The Philippine arm of the Lamudi global group has established itself as one of the main players when it comes to real estate markets. Per their site, they serve up to 230,000 visitors on a weekly basis, totaling to 5 million plus visits every month. This online real estate hub is well-designed and easy to navigate. The main page breaks down listings according to popular condominiums, latest listings, and according to location. 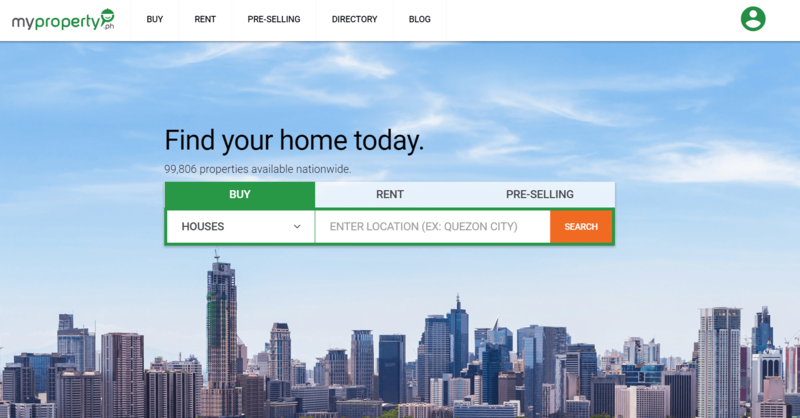 Their home page lists down house and lots along with office spaces for rent and areas (residential) available for pre-selling. They also have listings for apartments, rooms, farms, villas, warehouses, lots, offices, and more—that are for rent. 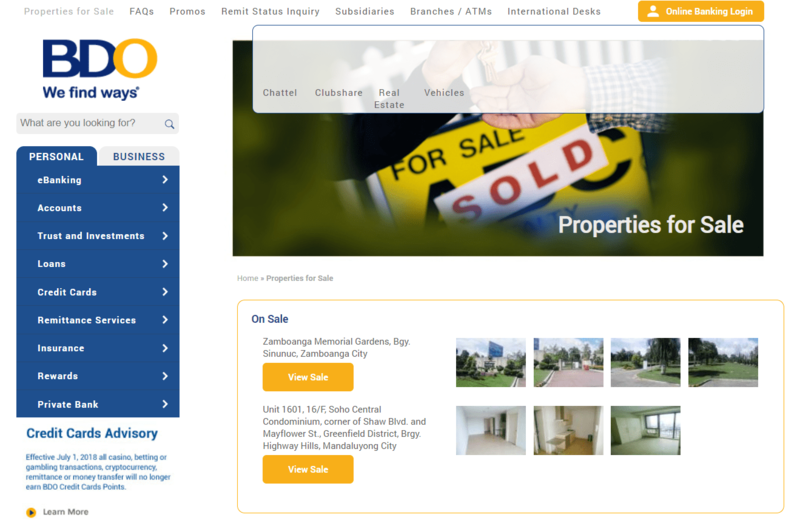 This is the local arm of Property24, the most popular property site in South Africa. It’s a member of NASPERS Group of Companies, a global internet group of investors that manage some of the world’s most popular websites (OLX is a member). The site is owned by Logic Replace LLC. Sellers and landlords are allowed to make postings for free. Their paid listings are more comprehensive though as it shows photos/videos and other details about the property. The site is pretty straightforward and like most on this list, provides a search option for properties for rent or for sale. Private sellers/landlords/agents are allowed to post their listings for free. The site serves as a hub between owners of foreclosed properties and buyers. Aside from listings, there’s plenty of content (blogs/guides) on the site covering real-estate topics. 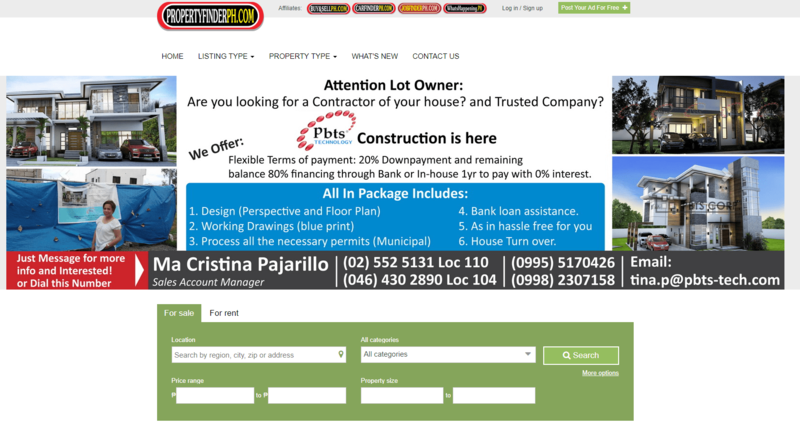 Their properties for sale page is easy to navigate. If you’re interested on a property, you can fill out a form either to inquire or make an offer. Their main page does not list down all available properties right away so you’ll have to do a search which you can filter down via area, type, size, and price range. If you want to view all listings, simply leave all categories untouched and hit Search. 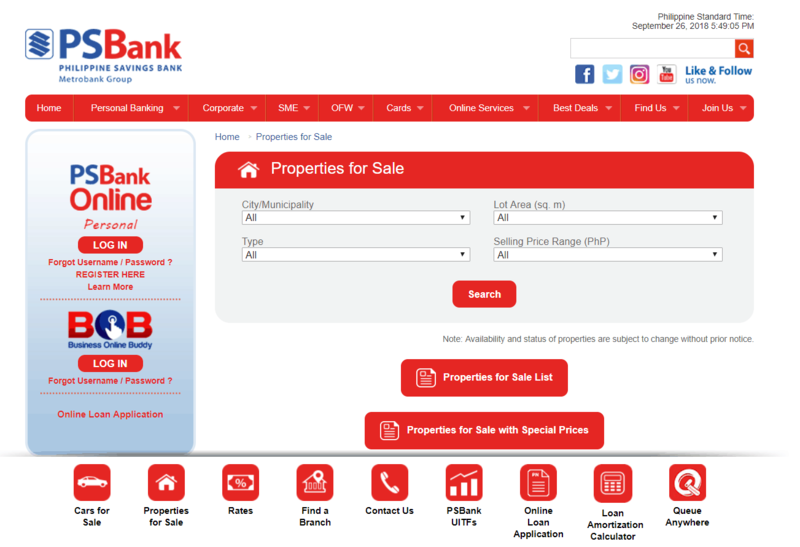 Similar to other bank’s pages, you can view all their listings for real estate properties or you can narrow your search down via location, price and type (residential, commercial, etc). I rarely watch TV. But when I do, I always seem to chance upon those shows where they buy derelict houses and then remodel them into something incredible you’d never think a stinkhole could look so good. The term for this “buy-renovate-sell for profit” strategy in real estate is called “Flipping”. It’s one of the many ways real estate can generate income either via rentals or straight markup from the original purchase price (minus renovation expenses). To keep things real simple, real estate investing is all about buying or owning a piece of property with the purpose of generating a profit. So whether that’s a new condo that you’re still paying for or a warehouse that your family owns, if you can sell it or have it rented to provide some form of revenue, that’s real estate investing. There’s even a crowdfunded-style of real estate investing that works like a mutual fund. 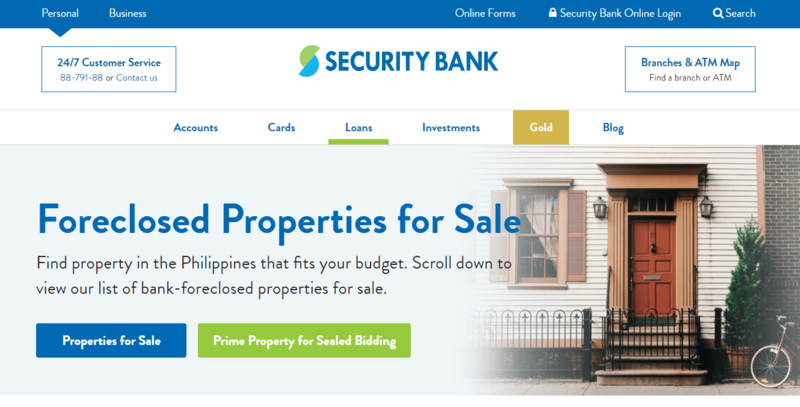 In general, buying a piece of property in the Philippines is as simple as completing all requirements and obtaining the notarized Deed of Sale. But while the process may sound simple, there are various steps involved depending on the type of property being bought. It usually takes a month or so to get all of the following steps completed. A deal between buyer and seller is made regarding sale of the property. Real estate tax will be paid by the buyer at the City Treasurer’s office. City Assessor’s office determines the property’s market value. Buyer will pay transfer taxes to Assessor’s office. The Documentary Stamp and Capital Gains tax are paid at the BIR’s office. The Registry of Deeds will now cancel the ownership of the seller on the property and awards a new one to the buyer. Buyer gets copies of the new title and visits the Assessor’s office to request for tax declaration. Financing strategies will vary but it might be a good idea to talk to your bank beforehand about getting an Approval in Principle (AIP). It’s essentially a guarantee from the bank agreeing to lend you money based on your financial health and/or credit history. Also, working with a credible real estate agent can be of big help since they can provide you with information and insight on the types of property you’re interested in. Contract to Sell (CTS) – Document stating agreement of the developer to transfer ownership of a property to the buyer upon fulfillment of the terms of sale. The Deed of Sale will be executed when the property gets paid in full. Deed of Sale – Legal, binding document reflecting the agreement between buyer and seller on the sale or purchase of property. Declaration of Real Property (Tax Declaration) – Document maintained by the City Assessor showing market and assessed value of the property as basis for collection of real estate tax. We mentioned earlier how “flipping” is a strategy of making money in real estate. In this section, we’ll take a look at the 3 main ways of generating money via real estate. You buy something, it increases in value, you sell for profit. Classic buy and sell move. Of course not all properties goes up in value, that’s one of the risks involved in real estate (as with any financial investment). An investor can gain via a buy-and-hold strategy or buy low-develop/renovate-sell high. Buying low and selling high is akin to the principle used in collectible items. Say you buy a collector’s edition Batman toy. In 10 years, the demand for the product increases its value five-fold. The same method can work for real estate, depending if you were able to score a winning property. The second method involves buying a piece of land or property, develops (or renovates) it, then sells it at its perceived higher value (flipping). The rise in the number of mid-income families who want the convenience and perks of living in the metro is one of the main reasons that drove up the demand for condominium and apartment rentals in the last few years. 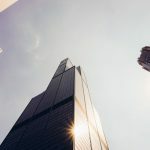 Investors took advantage of this growing trend and doubled down on the purchase of these residential units for the sole purpose of rental income (even through AirBnBs). Note that you don’t actually need to cough up all the capital up front if you’re thinking of investing in a condo, for example. Case in point: A friend of mine bought a unit in Katipunan and has put it up for rental. It has given him a steady source of cash flow in the last few years. This strategy opens up the doors of investing to regular folks like me who otherwise would not have the money up front to “invest”. The rental income should be more than enough to cover the amortization that the owner is paying for the unit (see 2% rule below). Once fully paid, the payout from the rental will dramatically increase and the owner can keep it or reinvest on the purchase of other units. Sometimes, profits can be made not via direct sale or rental income from the property you own. Revenue can be generated by micro-businesses located within or near your property. For example, say an investor owns a commercial space. Seeing opportunity in the foot traffic generated by the businesses that rent his space, he places vending machines in the building to generate even more income. Sometimes, we don’t need to reinvent the wheel—we just need to realign it. When it comes to investing, in real estate to be exact, the same old strategies and formula still work. This section lists some of the most tried and tested ideas for making money in real estate. In 2018, the Philippine property sector remains bullish about the real-estate market. The last few years saw a boom in the real-estate market. Millennials are driving its growth, filling their needs to be near their work and avoid the ever-worsening traffic. As families are getting smaller, people are more willing to settle in condominiums for its convenience. In 2017, take-up of pre-selling residential units reached 52,000 in Metro Manila, 24% higher than the previous year. The high-end residential segment posted an impressive 28% year-on-year growth. And it’s not only Metro Manila experiencing growth. 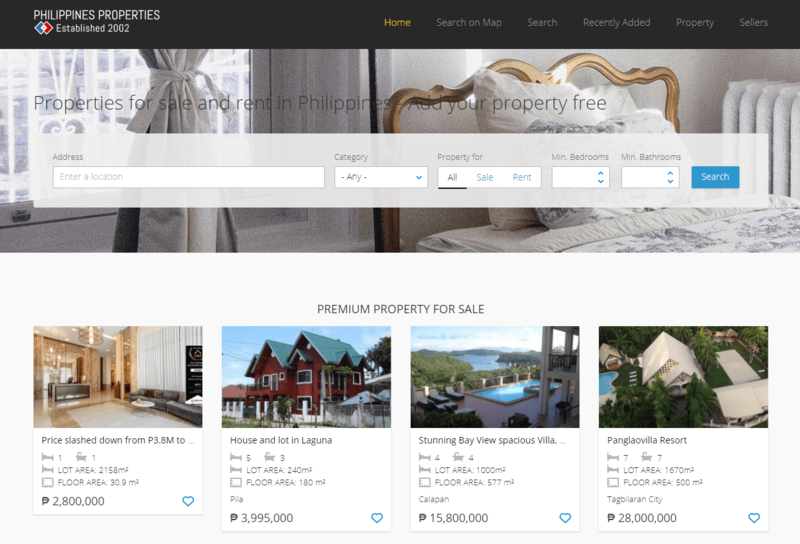 Cities like Davao, Iloilo, Cebu, Bacolod, Baguio, and others are also witnessing the surge for demand for residential properties. The bottom line is, the demand for residential properties is still on the rise and still stands as a solid strategy to invest and earn. Our country is among the most popular tourist spots in the world. Breathtaking waters, rich flora and fauna, and amazing destinations await travelers both local and abroad. Palawan, Camiguin, Batanes, Cebu, Aklan, Bohol, are just some of the most popular spots that receive thousands of visitors every year. And what do you think do these travelers need? That’s right, a place to stay! Between 2016 to 2017 alone, the country posted an impressive 30.68% earnings growth rate in the travel and tourism sector, as reported by the DoT. The growing eCommerce industry leads to the increased demand for storage spots and warehouses by online shopping platforms. Not only that, our country’s retail industry still remains strong and is projected to add 630,000 sq meters of land in the next 3 years. The logistics industry is experiencing tremendous growth right now, fueled by the consumers demand for easy and hassle-free online shopping. Major players from various industries have taken notice and started purchasing key assets meant for the construction of mega-warehouses to cater to the needs of the logistics market. Ayala land, the Villar Group, Double Dragon (co-chaired by Mang Inasal founder along with Jollibee’s chairman), Anchor Land, are some of the most recognized names that are doubling down on real estate logistics investments. Still deemed as profitable based on the steady demand and increase in the number of condo projects being constructed. Perfect for rentals catering to students and starting families (as well as for AirBnBs targeting people visiting the metro for business). Also ideal if the place is near business districts like Makati and BGC. The biggest chunk of the market share belongs to the mid-end segment, which makes up 64% of the total pie. High-end condominium projects take 24% trailed by affordable and luxury markets at 10% and 2% respectively. You see them everywhere. Pieces of land left unused, sometimes sandwiched between residential or commercial spaces. Some of these empty lots have the potential to be profitable, you just have to identify which type of investment it will fit best. Consider other factors such as price and safety, and be thorough in making sure you are obtaining legit paperwork from its seller. You’ll never run out of tenants if you have a suitable and ideal location for a dormitory – preferably nearby schools and/or hospitals. Students are always looking for a safe and accessible place to serve as their home away from home. Whether it’s a bank or a string of commercial units rented out by laundry shops, food stalls, coffee shops, remittance centers, mini-marts, and others, a low-rise commercial building can be a very profitable investment. Rental contracts last anywhere from 5 to 10 years (for banks) so if you land a deal with one of them you’re assured of a steady-paying tenant for a decent amount of time. Or you can offer to lease them as office space, as the Philippine property sector reports a growth of 4.3% year-on-year in Metro Manila. It’s a fact that real estate investing typically involves huge sums of money (at least from a general point of view). Why do I mention this? Simple: To stress the importance of doing your homework before plunging in and investing your hard-earned money. 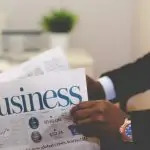 In this section, we’ve compiled some of the most popular and effective tips to increase your chances of success in real estate investing. 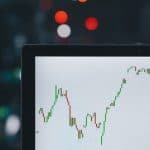 I mentioned in this article how identifying a hungry market is so much more important than having an excellent product. In similar fashion, the core concept can be applied in identifying and zeroing in on a property to invest in. 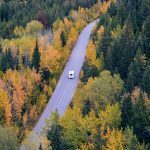 You’ve probably heard (and agree) that when it comes to real estate, location is absolutely critical. But while this is true, there is one oft-overlooked factor that can be as crucial as location. Here’s an example. Condominium projects are segmented according to different price points. You probably noticed that too, did you? Under the same developer, there will be condominiums that are priced lower than their other offerings. They want something to offer each unique market segment (low, mid, high income). Doing so allows property developers to take advantage of the increased buying power of low-to-mid income individuals and families looking for a place to own or rent. Notice that this strategy puts emphasis on its target market and not solely on location. Think about it: You may have the best and most luxurious condo buildings in town but if income from surrounding families and general development of the area are not a good fit, no one will be able to afford your asking price. Instead of aiming for the high-level experience, you’ll probably have a better chance of landing rentals/buyers for your units if you built your condo with the financial capacity of low-to-mid income individuals in mind. The same idea applies the other way around. Development of land and construction of roads beyond urban hotspots can be good indicators to predict potential increase in property value. Even news of a new mall or commercial establishment being erected on previously unoccupied property could serve as impetus that will trigger further development of its surrounding area. Notice how maps on condominium flyers always seem to show how near their location is to key commercial establishments? Because people want to live in areas that are convenient. And this convenience is part of the draw that pulls them in to decide and choose to live there. Earlier I mentioned the construction of MRT Line 7 connecting QC to SJDM Bulacan. I’m no expert but I bet that once the whole thing is up and running, the prices of property near the train network will significantly increase. People will no longer find these areas “too far away”, and increase the chances of them considering purchasing homes there. As an investor, it’s good news for you if the area or property you’ve acquired continuously develop and improve since it can result to the appreciation of its market price. Once you’ve identified growth areas or have decided on a property to invest in, you should then figure out your investment’s timeline in terms of ROI (Return on investment). 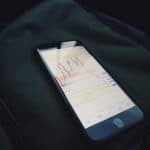 Having a plan showing estimated time frames for ROI is beneficial since it will give you an idea of the revenue that it will generate and when it will start kicking in. You wouldn’t want to wait 10 years just to start generating profits, do you? Or simply break-even just because you didn’t price your rental unit accordingly, even possibly losing money on some occasions. By laying out an investment plan containing all sorts of details (projected expenses and revenue), you can streamline the whole process and make calculated decisions. Note that the figures displayed were meant for illustration purposes only and may not accurately reflect current market prices. What’s your overall financial target for that investment? How do you plan on earning from your real estate investment, one-time big-time or cash flow via rentals? What is your property’s estimated annual appreciation? 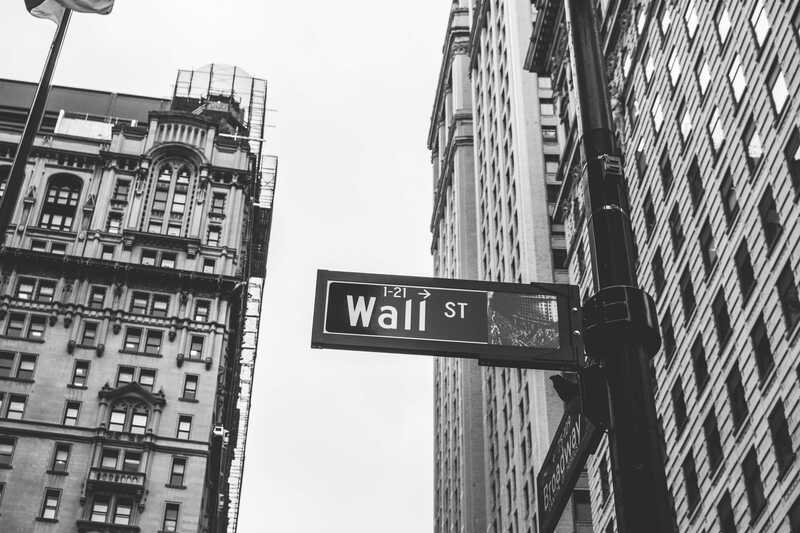 These questions aim to provide you with a high-level view and exit strategy for your investment. How much should your revenue be if you have a rental unit? Answer: Financial real estate experts suggest at least 2 percent of the total price of the property. How will I know if I’m not pricing my property too high? Answer: Determine its fair market value in accordance to, say, how other similar properties are priced and other related factors. The following are suggested steps to take to make an informed investment decision before purchasing a real estate property. Check the track record of the developer. There have been cases where condo developers have not been able to honor the site’s construction deadline, for example. Check for feedback from existing owners. Not all developers are equal, and it’s crucial that you know and make business with the ones that keep good at their promise and have excellent track records. Will you be paying for the property upfront, through financing, or loans? Options include financing through banks or PAGIBIG (HDMF) for paying the remaining balance. 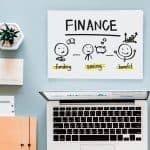 By doing this beforehand, you can prep the necessary documents and get the bank’s Approval in Principle to ensure you’ll have the funds for the investment. Physically inspecting a property not only gives you first-hand experience to gauge its investment potential, it also gives you better insight on current market prices and increases your knowledge about that particular market. It also provides the chance to network with fellow investors, real estate brokers, and the customers themselves. Chat with them, ask questions. You just might be able to score some valuable information that you can use in the future. In buying a condo, for example, you should also check the facilities and overall quality of the amenities in the area. They might serve as indicators whether the units are being true to what they advertise and claim. An earlier section of this article showed websites where you can purchase foreclosed properties. Hi Amiel! Great page! In fact, I would love to have us (www.swoop.ph) listed here. Please tell me if it is possible, and the info you need. This list sure does help in the future when we look for a shelter for the family Would love to have the right house with the right research. Big Help Thank you sir Amiel !